Heroine Character Pack 1| RPG Maker | Create Your Own Game! No modern-day setting is complete without academia, and what better way to show off your schools than with a pack of spunky and sweet school girl characters?! 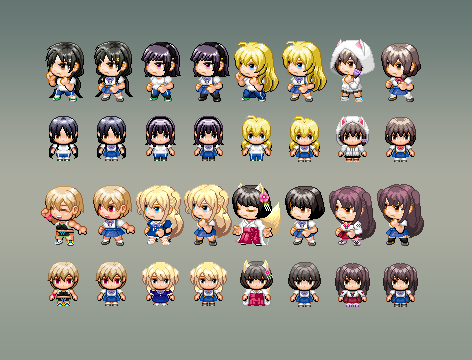 Heroine Character Pack 1 contains 8 girl characters in uniform, as well as an extra clothing variation for each girl (including sports uniforms or casual outfits). Created by Gee-Kun Soft, each character is designed to fit a common story archetype - from the ambitious sports fan to the next-door sweetheart and more. But it's up to you to decide just what role they're going to play! With matching character sprites, battlers, SV battlers, facesets and portraits, you'll be able to choose if these heroines will be the party leaders or simply flesh out your world as NPCs. 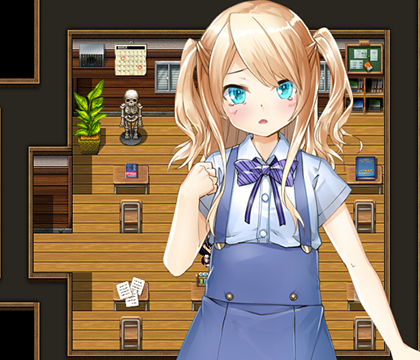 Inspired by both a modern Japanese manga and anime aesthetic, the characters in this pack are a fantastic addition to your growing library of RPG Maker Resources. Heroine Character Pack 1 is a great match to modern guys in Parallel Worlds Character Pack.